PENNSYLVANIA (WABC) -- Talk about a close call! 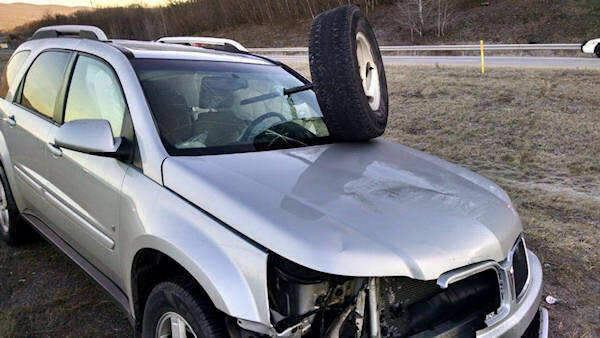 A truck's tire connected to its axle crashed through the windshield of an SUV with a mom taking her kids to school. It happened in Pennsylvania. The tire came off a truck driving in the opposite direction. The mother says her teenage son may have saved her life. He was driving the SUV the night before and moved the driver's seat back farther than she normally keeps it.